It’s safe to assume that almost everyone would love to give back to their community. Many envision writing that large check to their favorite charity, school, or church. Both donations of money and time by volunteers make a major impact in the non-profit’s operations budget. Everyone has either financial or the time resource to give back. Large or small contributions are both impactful, so contributing within our own means has great community benefit. Food truck owners have a special way t0 give back to the community. Aside from time and financial resources, we have the luxury of working with food all the time. The food truck owner gives back by providing food resources, to our favorite charity, church, or community shelter. For many years, I’ve been blessed to donate food to support local blood drive organizations, charities, and churches. Making a donation is like writing a check. You feel good about doing it and the organization is extremely appreciative of your efforts. Yet, it’s not the same, of course, as serving the food yourself to someone hungry and homeless. If you’ve ever done this, you know why. The response from the recipients is overwhelming. And not just the first time … every time. There is so much need and they express so much gratitude. Experience feeding homeless families with children and prepare yourself to be drying your tears in the process. Rewarding isn’t a big enough word to explain how you will feel when you give back in this very special way. Food truck owners have a special way to give back to the community. Many times we have extra food that was not sold at the end of the day. While some food can be saved for use the next day, some is consumed or donated. Many local churches and community shelters welcome any and all food available as they serve as a resource to those in need and in survival every day. Expand on your giving back by bringing your food truck to their next event and serve. Participate in feeding the hungry at a local shelter from your food truck. Make a conscious effort to prepare and serve them as if they were paying guests and avoid using leftovers. Your experience will exceed the rewards of writing a check in any amount. You’ll get some great exposure with your business, but avoid that as your first reason for serving a charity event from your truck. 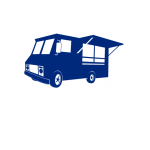 You are sending a message that a local food truck entrepreneur cares enough about the community to take food, financial, and time resources from their daily operation to give back to the community. You’re sending a message that you are enjoying a high quality meal anyone would pay for, rather than a free lunch from leftovers. You’re inviting them to experience eating from a food truck rather than a chain restaurant. You are sending the message that you are here to help to make today better than yesterday. The messages for both the food truck owner and the recipients are many and positive. This experience can be significantly greater than just writing a check or dropping off food. One more way food truck owners give back to their community … we network within our food truck family to help create more business and opportunities to help each other keep productive work schedules. The same network supports local charities and churches with their events. While we may not be available to service their clients, we know 50+ other food truck owners that may be available. One more way we can give back to our community. I’ve found it very rewarding to make a positive difference by the simple act of donating food. Even more rewarding is donating food truck proceeds toward a charity auction, raising thousands of dollars for the organization. Volunteering your time to help put food on the plate of someone hungry and homeless will give you an eye-opener … not everyone in the world lives as we do and it’s not to be taken for granted. There are great rewards sharing those experiences with others who may be unaware of their gifts, and in helping them experience the same rewards you have enjoyed. These experiences cannot be monetized. We all have special ways to give back to our communities. Each and every gift will be special to someone. Why not make your special gift donation today!